So you want to join the YT gaming community and create a successful Youtube video game channel with a huge following? Well you've come to the right place if you're looking for the best way to start a Youtube gaming channel, as there's several years of experience under one's belt and with our advice it should set you on the right path to not only producing good content but also gaining a loyal audience. Before we go any further you have to understand that as each year passes and Youtube grows older, being original and coming up with fresh ideas on Google's golden goose can be one of the toughest things to achieve, especially in YouTube competitive gaming's community; most than likely someone else has done a better job two years before you. With over 10 million views on YouTube, over the past couple of years a lot of people have approached and asked us how to get popular and essentially build an audience. The answer all comes down to acquiring views and engaging your viewer. To assist you in your pursuit of popularity, we've compiled 10 vital steps to ultimately getting tons of views on YouTube. Just to be clear, anybody who comes up with stuff like “it's luck” or “just make great content” doesn't really have the answers, because honestly YouTube isn't that black and white. There are paths you must proceed in order to engage with your viewing audience to grow an audience. When I started my Youtube gaming channel in 2010 I wasn't following a blueprint for success, rather my enjoyment and passion for gaming and editing were the main reasons I decided to create a channel. As I uploaded the first few videos my motivation and excitement were through the roof but I would later find out that wouldn't be enough, if my past self knew as much about Youtube as I do today, I'm pretty the channel could've been bigger then it is today. The team and I decided to list some essential but easily digestible tips of what we have learned in reaching the path of a 'Professional' YouTuber and what you'll need to know in order to build a thriving gaming channel on YouTube. Before we go any further, the essential equipment you need when starting a Youtube channel is very important. You can't jump into the deep end without first being prepared and having the right set-up or you'll end up drowning. What you'll want to start with is software that will give you learning experience but isn't a steep learning curve. Depending on what you're planning to do on Youtube, there's many different types of equipment you'll need, a basic screen recorder, webcam program and a multi layer video editing computer program (i.e. Sony Vegas, Premiere Pro, Camtasia) and Photoshop for editing your branding. Of course you mustn't forget you'll need video game capture software for capturing high quality gaming footage from your television screen. There's also many alternatives to these software mentioned above, so finding the right one for you should be in your best interest. 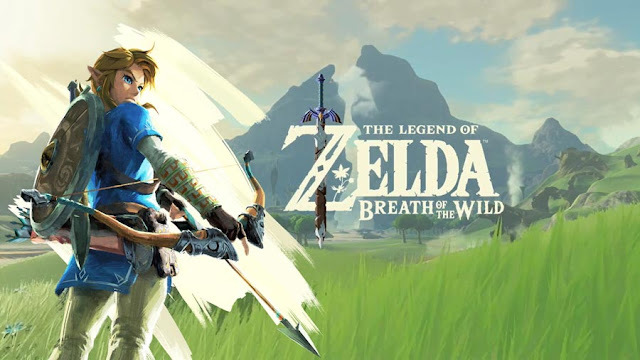 Many gamers in the beginning of YouTube's growth came up with a gaming channel simply because of our love for video games, and thus many of us wanted to share that pastime with others through gameplay. Although over a period of time we've learned there are other reasons that make a lot of sense business wise. 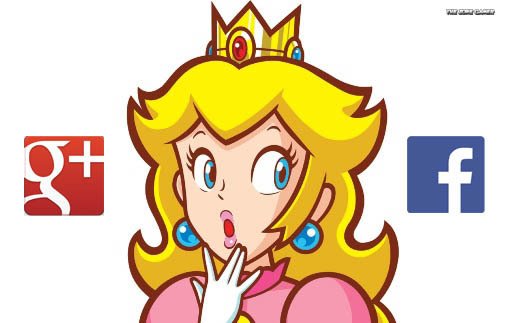 Gaming videos are the most popular kind of content digested on YouTube. This may be a little bit startling to people who don't play games, but to us it 's common sense; video games are an sound-visual environment, So if you want to see what a game's got to offer you can just look up reviews that display snippets of footage and commentary or simply watch someone silently play parts of a game. In addition, according to a Google survey 95% of gamers digest online video content. You have to admit this is tons more than many other kind of demographics, and is a clear indication as to why so many people gravitate towards wanting to make gaming videos. All the same this rise in popularity also means there is a lot of YouTube gaming channels competing with each other for views, subscribers and search pages. The tips in this particular blog post will speak about how to stand out from the pack by providing you with a proven recipe for success. The presentation of your channel is one of the most important and often overlooked things to focus on when not only just starting up a channel but also during it's rise in popularity, being professional in appearance and making your channel look appealing is a must if you want to attract potential subscribers. A good channel needs a visually well designed banner, channel trailer and thumbnail to represent it. If you're not sure how you want things to look then it's always best to keep it nice and simple. keep a consistent visage and feel throughout the channel. Create a logo that matches the sort of identification you want to express. Our current thumbnail logo is two large letters, for instance. Photoshop is a good way to make custom thumbnails and banners. If you are unable to get your hands on Photoshop, there are ton of alternative programs around the web which emulate it, find one that best suits your needs. YouTube has a Creator Academy program generally designed to assist people in making their channels look visually appealing. It incorporates with your channel to aid you. Nevertheless, one thing they forget to mention is that picking a username within your niche is very important, especially if you want to get discovered in search results by your targeted audience. Picking an effective YouTube channel username is of most importance, so keep that in mind when choosing one. Just like blockbuster films create emotional arousal by bringing out a flashy trailer (also called “Preview of Coming Attractions”), your YouTube channel can begin growing an audience by acknowledging visitors with a brief video that describes what your channel is all about and why they should subscribe and view your videos. Take a period of time to carefully plan what you want to see in your channel trailer. One method that we've seen work is pulling 1-second to 5-second parts from the videos that you have already produced, and using those mini sequences to create a new Greatest Hits montage. Your YouTube videos should have eye catching titles and thumbnails. The title for each one should be catchy, descriptive and have keywords, while your thumbnails should stand out. Be mindful not to deceive viewers with an irrelevant title or thumbnail just to get more views because it will back fire in the long run, overall leading to little engagement. It's a must that your title and thumbnail are interesting in order to gain a viewer’s attention. Your title has to be descriptive to let each viewer know what to expect. Finally, it advised that you include keywords in your title that people will be looking for in order to seek out your video. Creating a professional looking video intro to put at the beginning of each of your videos is definitely a good look and gives your channel huge brand awareness. You can ask someone that edits to create your intro (on Fiverr) if you don't have an adequate editing program such as Adobe After Effects or Sony Vegas. An intro for every video will give your channel an identity and the first-time viewer an impression of what your channel is all about. Having something that looks nice is critical at this point, as it’s the first thing your audience see. If people have to watch over ten seconds of your intro before they reach the actual content on each video you create then that's going to be a problem, the average person's attention span is short enough as it so don't expect them to hang around. An idealistic intro is usually 2-5 seconds long. For example, our channel's intro is 2 seconds and IGN’s intro is 1-2 seconds long. It’s more essential than you think to make sure your intro's short, with 5 seconds being the maximum. Think of your intro as an advert for your channel that your viewers have to sit through. If they get uninterested within the first three seconds, they’ll exit without watching any of your video. Whether you game on PlayStation, PC or Xbox you’ll want to invest in a capture card to capture quality game play footage. All of the top gaming YouTubers record their gameplay at high definition which helps them to hold their audience's attention and make a long standing impression. If you can't record your gameplay in HD, it's going to be ultra hard to compete with the thousands of other gaming channels out there that do. While a capture card can be a rather costly investment you have to remember that with cash comes overall improved quality, so if you’re going to make an investment into starting your own gaming channel, idealistically you’re going to want to go for top-quality equipment. However, going for the best isn't going to be cheap. Video game capture software supplies you with a easy way to record your gaming experiences without interfering with your actual play. 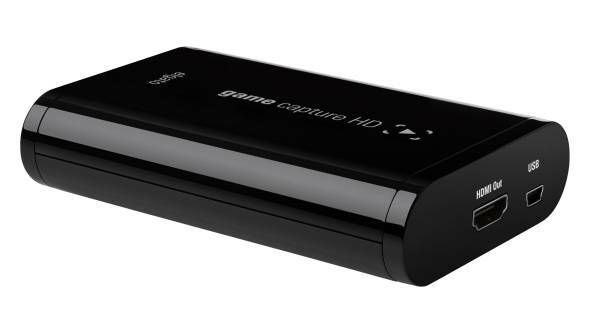 Game capture hardware was the only way to dependably record high-quality video of gameplay on earlier gaming consoles. The PS4 and Xbox one have inbuilt video capture tools, but the past gen consoles aren't able to record gameplay. You can also use video game recorders with your PC. The biggest asset here is that the game capture hardware takes some of the load of capturing and processing videos off of your CPU. This gives you finer game performance while capturing gameplay on your computer. If you plan to do Let Plays and general commentary over your video game footage then a gaming headset is the way to go. Gaming headsets can be a great source of entertainment because you can talk to your friends in online games, but they're also great for doing commentaries for your YouTube videos! Headsets can range from £10 all the way to the fiery depths of £400, but it's not necessary to purchase the most expensive headset on the market. The absolute best thing is that you can get a proper one for just about anywhere in the price range! For as low as about £40, you can get a respectable gaming headset which can also be utilised for commentary with pretty nice quality. Naturally the sound quality is going to increase and be better as the price rises, but if you do have a small budget then nothing's stopping you from getting a headset in an affordable price range. As mentioned earlier video editing software is of most importance especially when you're planning to create high quality, entertaining and highly eye pleasing content that your audience can easily consume without wanting to click away. Personally there's nothing like the excitement of taking a whole bunch of unedited gameplay footage you just recorded and piecing it together to make your final masterpiece. Not everyone's going to feel this way of course and that's okay too. With a open mind editing can be every bit as fun and creative as the recording of the game, and for me it's one of the best part of the process, specially if you can get your hands on a editing software that you feel comfortable using, whilst allowing you to have as much creative freedom as possible. Producing a video that has a pleasant flow with some appealing background music will make all that time you took capturing the gameplay well worth it. 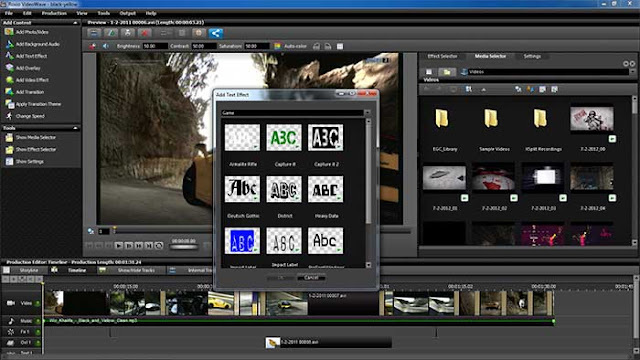 For basic videos, most of your casual editing software will work well. Apple gives you access to iMovie and every PC usually come with a copy of Windows Movie Maker. However if you can, you can't go wrong with more advanced editing software like Adobe Premiere, Sony Vegas and Final Cut Pro, all of which are top-of-the-line editing software. Cut all the slow parts out of all your videos. Unless you’re exceedingly good at commentary and can really work a mic, there's parts in your videos that will drag on. Erase them. There's a high percentage that your viewers won’t like, favourite and share your content unless they are entertained from the start to finish. If your edited video is only 5 minutes in total, let that be the case. Use your video editing software to trim and cut slow parts out of all your videos. If you don't have editing software yet chances are your computer came with Windows Movie Maker, something you can start off with, but it's necessary to get a proper video editor, this is not optional. If you want to stand out on YouTube you should always try and go the extra mile. If you don’t know how to use After Effects, learn how to use it through guides and helpful step by step tutorials or hire someone. You need decent transitions, lower-third name-plates, quality sound, and maybe even some limited animation to truly stand out and make an impression in this day and age. Just remember film-making is art form. Every aspect of your video (whether it is sound design, background audio, the commentary or the way you zoom into clips) needs heavy consideration. Imagine YouTube as a supermarket and your video is a merchandise sitting on the shelf. You’d want to make sure the packaging is pretty, right? Do the exact thing for your videos because they are your product. The more content you make the more open doors to your YouTube channel. It’s great to have as many open doors as possible. If you are not consistent with uploading content onto your channel, people will most likely hit the unsubscribe button. This is definitely the opposite effect of what you're trying to achieve! It's advised that you give your viewers a consistent amount of videos per week and follow a particular schedule to keep your subscribers satisfied. This allows your following to know when your next video will drop. With each video you produce, your videos will have the chance to appear in different search results. Over a period of time as you make more videos, you will end up seeing a larger number of channel views. YouTube isn't just a video website people go to consume content, at times it can be a hot social spot many people (gamers included) go to interact with one another and express their views and opinions. Interacting with your audience is a major portion of the success equation, and is a fundamental element to building your channel from the ground up. As the host of your channel, lead the discussion and take heed to what your audience are saying both in the comment section and on social media! Taking some time to engage with those that help you is not only the honest thing to do but it is crucial for prolonged growth. Audiences like to feel appreciated so it’s necessary that you interact with them. One of the top places to engage with the people who support you is on Twitter. You can tweet or respond to those who view and interact with your content. When others on social media see you engaging with your followers, they may be curious to join in on the conversation and possibly become a new subscriber to your channel. Another way to interact with audience is by doing question and answer videos. Your subscribers ask you questions and you answer them. How this works is you ask your audience to leave their questions in the comments for you to answer in your next video. Replying to questions will show your viewers that you recognize their support and should strengthen the connection between you and your subscribers. Promoting your videos so they can reach new audiences is a must if you're going to get your feet off the ground and steadily increase your audience. Which is why creating quality content and interacting with your viewers so you gain loyal subscribers who are willing to share your videos is a must. If you don't promote your videos then it's very unlikely that you'll see much success on YouTube unless you manage to strike gold with a viral video. What's the best to promote your YouTube videos you ask? Well a great place to start is on forums in your niche (gaming) but just sharing a video on any random forum in hopes of getting views isn't exactly fool proof. It's recommended to engage in a forum or community before actually promoting your videos so your content won't be written off as spam. Another way to promote your videos is through blogging, creating a quality blog post that relates to your video and embedding your video in it is a great way to promote your content, but just remember blogging is a whole another world and takes dedication. You also need to know how search engine optimization (SEO) on Youtube works. Teaching you video SEO strategies is well beyond the scope of this article but there's a ton of articles on Google to help you if you are clueless on the subject. By joining, engaging and promoting your content in a Google+ community page, you are joining a spot for others to talk about subjects similar to your channel. Post your thoughts and reply to questions to gain even more exposure for your channel. Although your main objective should be to promote your video to the group, remember to always abide by the rules and not spam your content. Just like with Google plus communities, you can join a place to discuss topics related to your channel by joining a Facebook group. By joining a large Facebook group, you get access to it's community. Having access to an engaging community who support your videos is vital for growth. With an interactive and curious Facebook group, you can get just that! Remember to join a group in your niche and not spam your content. Requesting that your audience share your YouTube videos is essential. At the ending of your videos, you should ask your audience to share your videos with their friends and on social media. Each time a person shares your YouTube channel, it opens a new path to your content. You can even offer incentives or use a competition that viewers can compete against each other in . By rewarding your audience for spreading awareness of your channel, it will result in more paths being opened to your content. Reddit, Digg, and StumbleUpon are just some of the social bookmarking websites that give your videos the chance to go viral. Social bookmarking sites are packed to brim with communities and users curious in finding new content. Every website has a different tone and community, so it’s advised to do some research before submitting your videos. Doing so will help you know where you can find the greatest outcome. If members enjoy your content, they have the option to vote for it and as you get more votes, your submitted video will climb the ranks, thus ranking higher. Content that is ranked high acquires a lot of traffic so there’s a great opportunity your video will get a ton of views. The YouTube tags you use in your videos are very important and if done right will help drive more traffic, thus helping more people find your videos, but make sure to use relevant tags in your content and not an unrelated tag just to increase views. Since your channel is catered to gaming you'd use tags that are relevant to the game you're playing or video games in general. One of the most important aspects of building a successful gaming channel is to have passion for video games, if the spark's not there then this isn't for you and you most likely won't make it far. Having fun and feeling excited each time you publish your latest video is something you must feel. If you're not having fun then it's best to stop and focus on a hobby that interests you. It will save you the time, effort and money of putting work into something that your heart is just not into. 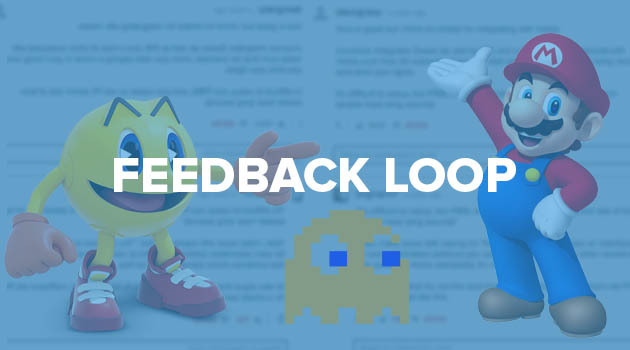 Get somebody else to view your content and listen to their feedback. It’s vital that they give genuine feedback, as this could make or break your channel's success. You don't have to take on every single advice you receive but it's important to not to turn a blind eye to criticism you feel is negative as it could save you later down the road. It's best to ask several people and compare their answers so you have a better understanding of your channel. For a lot of people, feedback is often taken as harsh critique or an attack. Possibly this is why it is rarely practised with any interest, and for certain hoped-for less. Yet feedback is not really criticism, majority of the time it is a supportive act intended to bargain with low-performance in a constructive matter and to develop performance to a higher stage. The main way to make sure we don’t carry on making the same error and faults is to get feedback. Commit time in asking and learning about how others feel about your channel and it's content - "What do you like about my content and what don’t you enjoy?" You could find it hard to stomach, but it is what it is; an opinion and not factual. And if people are thinking it you might not have to accept it, but you need to handle the perception by giving more information about what your channel is all about and why you do it. Obviously it takes time, but most likely saves time in the long haul – with greater knowledge of your channel's strengths and weaknesses. The huge take-home message from this blog post is be fun, original and incomparable. Then attract people who wish to view your videos - the better your videos are, the easier it will be to discover a sizeable audience. When you have an awesome channel with the correct tactics, success will find you! Hi, thanks a lot for the guide. I just started a gaming channel a month ago and have plans to do a weekly in-person show and I'm definitely going to implement each step you suggested and see what happens with it. See where I go from just seven subscribers. Thanks a lot, very valuable information. I can't tell you how much i appreciate this article. Reading this has steeled my resolve to make a much better YouTube channel then I envisioned. Now instead of rushing in, making a video, slapping my voice on it, i will take time to learn how YouTube works and games themselves. I really hope one day when i have a good fan base, i can tell them about this article helped me succeed. Thanks I want to start my youtube channel but I didn't know where to start. I hope this will help me In the long run. Hey, this was extremely useful because I am starting a gaming Youtube account with a friend of mine but so far we haven't actually posted any videos. I avoid the gaming category like the plague. It's so saturated that it's nigh impossible to rank one highly in the search queue or get the suggested video rankings you need for long term organic views. You have to be a special type of person to get it to work and most people who try doing it will fail. I just came across this today and I have to say, this is now my guidelines for a Gaming Channel, I've bookmarked it for further reference, thank you for sharing your tips with us. This was a well written and very helpful read. I've been planning to start a channel and start a regular series, and this has provided a lot of insight. I thank you for the effort put into this, as it was worth it. Hey Zonegamer I've been thinking now for a while to start a YouTube channel to do with gaming.. walkthroughs and reviews, At the moment I haven't actually made any video's but this guide has helped me a lot in how to think in terms of actually making a successful channel as I didn't really know where to get started or what to do. I can't thank you enough for this. I started a gaming channel a few months ago and really invested. I slowly started to lose interest because I really didn't have a good grasp on how to go further, to become better, and to rise to the challenge. This article has given me insight, confidence, and a clear path on how to become what I want. Thank you SO SO much! I agree on your thoughts about spending a bit more on a decent capture card. HD recordings are an absolute must. To be honest, if you’re going to be serious about it then you need everything of better quality. If not it turns people off, you can always tell. This was a very informative article, as I am quite interested in starting my own YouTube channel. With that in mind, what would you recommend as far as game capture devices for the 3DS and other handheld systems that don’t have software for TV use. I really want to start a gaming channel but I don't have any of those things. this has helped me a lot im getting ready to start a youtube channel where i play video games on the ps4 and ps3 but i just need a capture card so thanks!!! I'm Just starting on Youtube and this was very helpful!! Thank you! You guys need to follow your own advice and stay consistent with putting out new videos, i love your videos because they're original and different from what others put out imo but your last upload was in may..
You hit the nail on the head, passion is definitely one of the main key points in running a successful youtube channel, especially gaming. Also as you mentioned being unique is must but tbh or i see nowadays is a bunch of copycats, almost everyone's doing the same thing as each other and the real youtube gaming channels are often overshadowed. Props to sharing your youtube gaming channel expertise with everyone, this is a very humble gesture. Hi! I started new gaming channel recently. I uploaded 2 videos (with total of 21+ views :) ). Your article gives me hope. I want to ask one thing, Actually i dont't speak english fluently and my voice is not good. Is it OK? Thanks, This blog post is Very informative and will help anyone get their YouTube channel off to a good start or even take their already setup channel to the next level. In a case of making banner for yours youtube channel it would be batter to use software which managed to do that. Personally, everytime whe I need to design a channel I use http://ipiccy.com/ft/youtube-banner-maker. Thank you for your tips. I am trying hard to get my character Kyra the popularity and attention she deserves, but I am not sure how to do this. These tips should hopefully help me achieve my goals. Thanks so much for this article. I only started my gamechannel two weeks ago, uploading daily content. Even tho I already implement most of the tips and tricks in the artivle, it still gave me some new valuable insights. Thanks agai . I'd love to see all of your gamechannels (other posters up here). Why not connect? If you like my work or have feedback; comment and subscribe :) thanks a lot!! Thanks so much for this article! There are so many great tips in here! I only started my gamechannel two weeks ago with daily uploads. And even tho I've been implementing most of the tips aleady, this article still helps! It keeps you energized and focussed on your goal! I'd love to get some feedback to get better, so send me a message or leave a comment! And if you like my work, support me and subscribe :3 thanks a lot! Goodluck to all of you! Through YouTube your product or service is exposed to millions of people who are in search of your product or service. Now, videos loaded in YouTube sites also appear in search engine results page along with contents.